A conservative political action committee is targeting Latino voters in the North Carolina, Iowa, and Colorado with ads in both English and Spanish dealing with topics other than immigration. The Hispanic Leadership Fund is spending more than $250,000 in the concluding days of the fight for the U.S. Senate attacking Democratic candidates with radio ads focused on health care, education, work absences and energy costs. “Kay Hagan promised we could keep the health plan we liked. The truth is we cannot keep it. Hagan broke her promise. 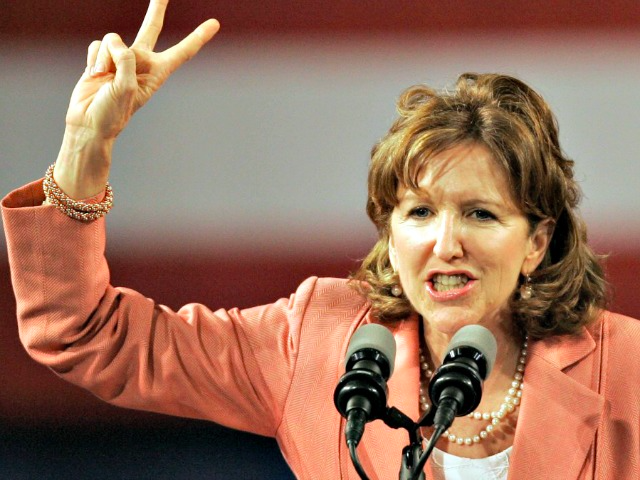 Kay Hagan promised we could keep the doctor we liked, but that’s not true either. Hagan broke her promos again,” the female narrator says in one of the 30-second ads targeting Sen. Kay Hagan (D-NC) on Obamacare. Another ad attacks candidates on school choice. “Why did Mark Udall vote against a bill that would give Latino parents more choices to excellent schools? Latino children can’t have a better life tomorrow if he denies them equal opportunities to the best education today,” another 30-second ad attacking Sen. Mark Udall (D-CO) says. The group slams Iowa Democratic candidate for U.S. Senate Rep. Bruce Braley (D-IA) in another ad about missing hearings. “Nobody works harder than Latinos. We show up and get the job done. But not Bruce Braley. In the last Congress, he failed to show up 75 percent of the time to the Veterans’ Affairs Committee hearings. That’s like missing six hours in an eight-hour work day. If we did that, we’d be fired. Who does Braley think he is that he doesn’t have to take his job as seriously as the rest of us?” the narrator says. The PAC also takes issue with Udall on energy. “No one works harder and deserves high-paying jobs more than Latinos. No one should deny Latinos the opportunity for a better life. So why won’t Mark Udall support oil and gas drilling wherever it can create more jobs, higher pay, and a better life for Latinos?” the narrator says. Hispanic Leadership Fund President Mario H. Lopez stressed that Hispanics are one of the fastest growing demographic groups in the country and are being negatively affected by the policies the three Democrats support. “In just a few short days, our issue ads have been seen and heard by over three million people in these key states. The Hispanic Leadership Fund will continue to spend money to seek to convince officeholders that they need to stand for policies that support and strengthen all American children and families,” Lopez said in a statement.